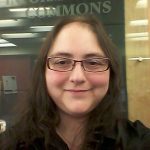 Tanya Johnson has been selected as the winner of the 2016 Student Writing Award sponsored by Ex Libris Group and the Library and Information Technology Association (LITA) for her paper titled “Let’s Get Virtual: An Examination of Best Practices to Provide Public Access to Digital Versions of Three-Dimensional Objects.” Johnson is a MLIS candidate at the Rutgers School of Communication and Information. “Tanya Johnson’s paper on best practices for providing public access to digital versions of three-dimensional objects stood out to the selection committee due to her clear writing and practical, informative content. We are delighted to grant Tanya the 2016 LITA/ExLibris Award,” said Brianna Marshall, the Chair of this year’s selection committee. The Award will be presented LITA Awards Ceremony & President’s Program at the ALA Annual Conference in Orlando, Florida, Orlando, on Sunday, June 26, 2016. News & Noteworthy awards, ex libris, student, writing. permalink.